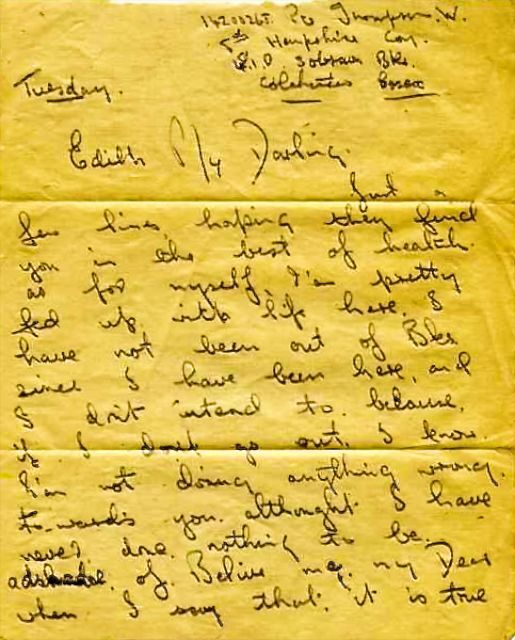 Timeline Feb 1944: A collection of World War 2 letters. "Fed up. Not left the bks. On leave 9th feb 1944"